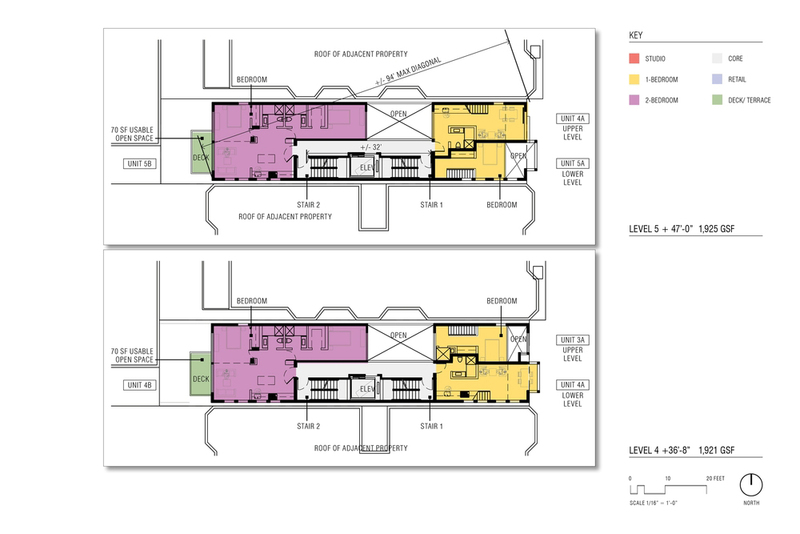 This new 13 unit, multifamily housing development in the Mission District of San Francisco features studios, 1 bedroom and 2 bedroom units; two of which are below market rate. 1000 square feet of retail space at street level and ample tenant bike parking make a positive impact on the neighborhood. Terraces and full length windows connect occupants to the street. The top of building's design echoes many of the historic movie theater signs of the Mission District. The marquis-like opening shows a "film" of the changing sky.